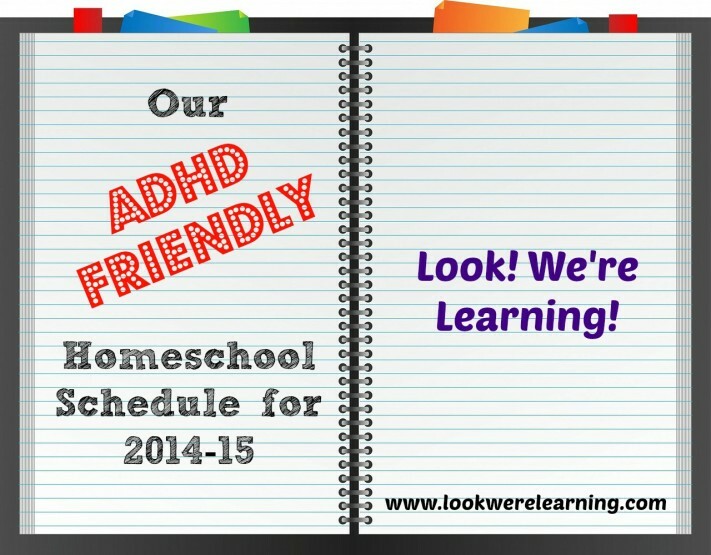 Our ADHD Homeschool Schedule - Look! We're Learning! We’ve been homeschooling for several years, but we still make adjustments to our homeschool schedule each year. And once we learned that some of our children had ADHD, we had to make some drastic changes to our daily routine. 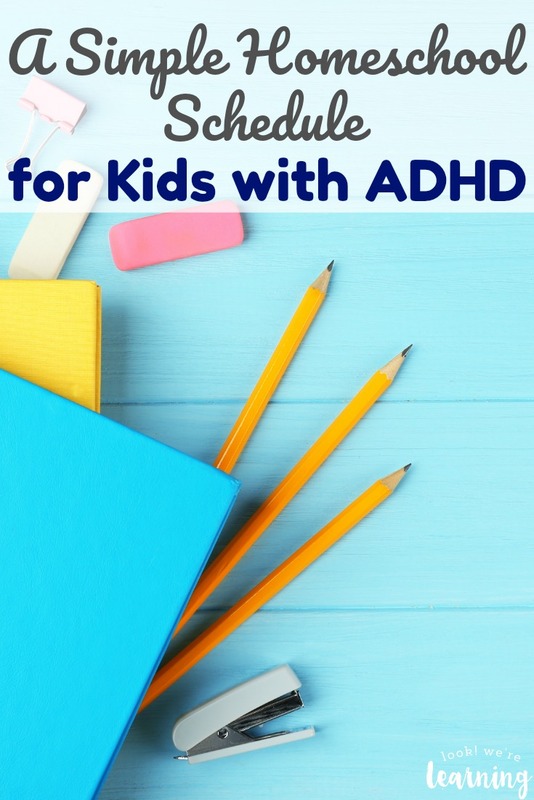 I’ve been reading some great books on managing ADHD with kids, and I’ve learned some excellent tips about time and school management for kids with ADHD. As a result, we’ve instituted a simple ADHD homeschool schedule. And it’s made a world of difference in making homeschooling days run more smoothly – for me AND the kids! Read on to get a look at our typical day. 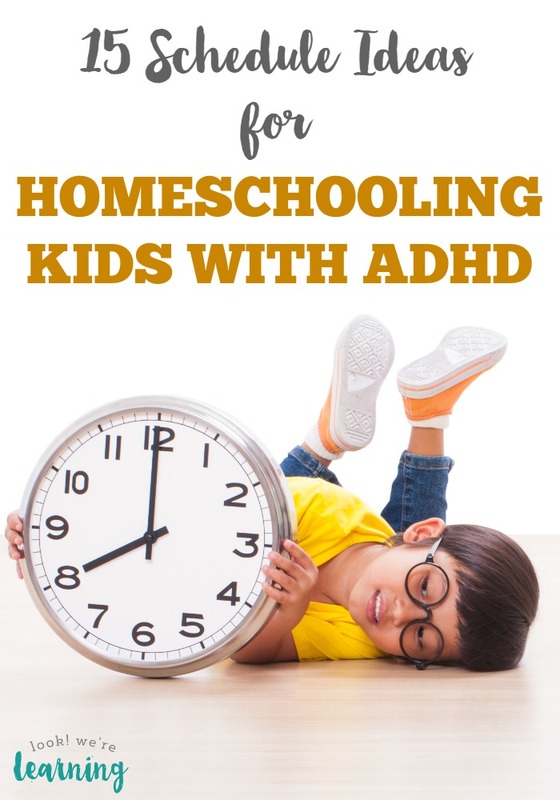 And if you need more flexibility in your homeschool day, check our list of 15 different ADHD homeschool schedule ideas! 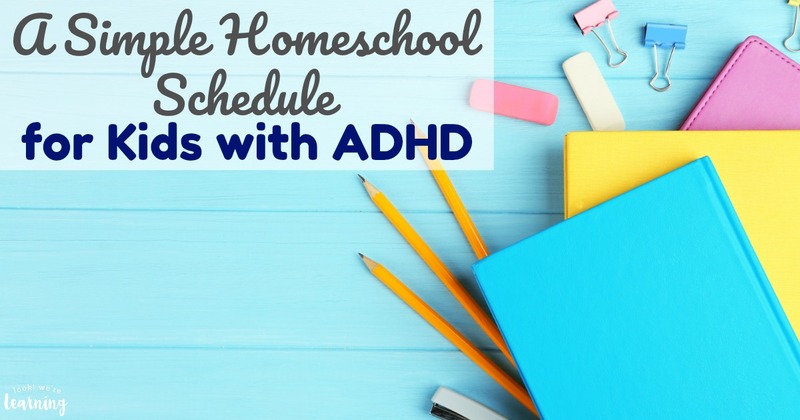 If you look at our ADHD homeschool schedule, you’ll notice that all of the school lessons are limited to 30 minutes MAX. That’s one of the important adjustments of this year, but so far, I’ve already seen improvements. We also try to cover the basic subjects as early in the morning as possible. It generally makes the afternoon run smoother. I don’t really set a strict wake up time for the kids. They’re generally up by 7:30 a.m., but if they’re not, I let them sleep until they wake on their own. Pooh, in particular, needs time to wake up before he starts his day. We go over a different scripture each day and I use that verse as our copywork for the day. The kids clean up the breakfast dishes and bring their notebooks to the table to do copywork. Piglet generally sits in and draws with her Color Wonder markers. I separate the kids for math. Tigger does her own work on the computer. We use several programs, including A+ Interactive Math, Khan Academy, and TenMarks. I let her go at her own pace, and I generally keep the entire lesson to 30 minutes or less. The boys and I do a math lesson in the living room using “Life of Fred” and math manipulatives. The kids do their chores (usually two tasks per person) and then they make their lunches for the day. I don’t require that we have a structured language arts lesson each day, but we do cover all of the subjects (spelling, English, and writing) several times a week. Each child gets to read with me for a few minutes alone. I generally read a short story with Roo first, then Pooh and I read a section of an early reader chapter book. Tigger and I are working our way through the Nancy Drew series and we’re on Book 1: The Secret of the Old Clock. I try to pick at least one topic per month for our family unit studies. 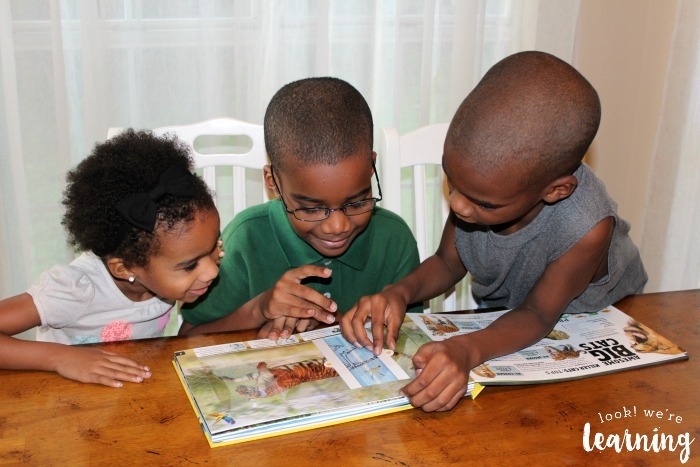 We usually read from a textbook or storybook and do an activity together each day. In the afternoon, our ADHD homeschool schedule includes more of the “extras”. Unless we don’t finish covering the essentials in the morning. Since they make the lunch themselves earlier in the morning, I don’t have to do much during lunch. Tigger generally helps Piglet with her food and I get a little break. 12:30 p.m. – Clean up and change for P.E. We’re having the kids “dress for school” this year, so after lunch they change into play clothes for P.E. We use Family Time Fitness for P.E. So far, we’ve been focusing on basic physical movements and helping the kids learn the difference between sports terms like “pass”, “throw”, “jump”, “hop”, etc. I’ve recently made the decision to start giving showers earlier in the day. By the end of the day, we’re all exhausted and Jay and I just don’t feel up to the task. The kids seem to relax a bit more for quiet time when they’ve had a shower beforehand as well. I generally read a story or part of a story before quiet time. I try to choose calm stories that won’t work them up too much. Otherwise, they’ll get in the bed and play around the whole time…lol. This is the first year that I am NOT requiring a longer quiet time for the kids. Tigger is actually sleeping more this year than last. We suspect that it’s because she’s entering puberty and her body needs the rest. We do our workbox time right after Quiet Time, since it’s a quiet activity the older kids can do while Piglet is asleep. She generally naps for an hour and, by the time 3:30 rolls around, she’s up and raring to go! In my dream world, I’d have individual time with each child everyday. That’s just not practical, though – at least not when we’re following our regular school schedule. So the kids alternate one-on-one time with me each day. Pooh gets Monday, Roo gets Tuesday, Tigger gets Wednesday, and Piglet gets Thursday. Friday is Mom’s one-on-one time with herself. Media time is saved for the absolute very last part of the day. It’s a treat that they get to enjoy if we’ve gotten everything else done that day. In the past, I would let them watch some TV around 11:30 p.m., particularly while I was making lunch. But they got so worked up after watching TV that they made a colossal mess while eating. Now I save media time until the end and things are better. And that’s a look at our ADHD homeschool schedule, for this year at least. 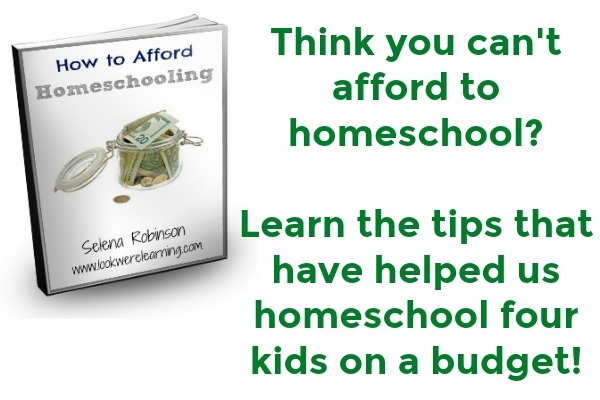 I’d love to hear about your daily homeschooling plans this year! Feel free to share them in the comments. 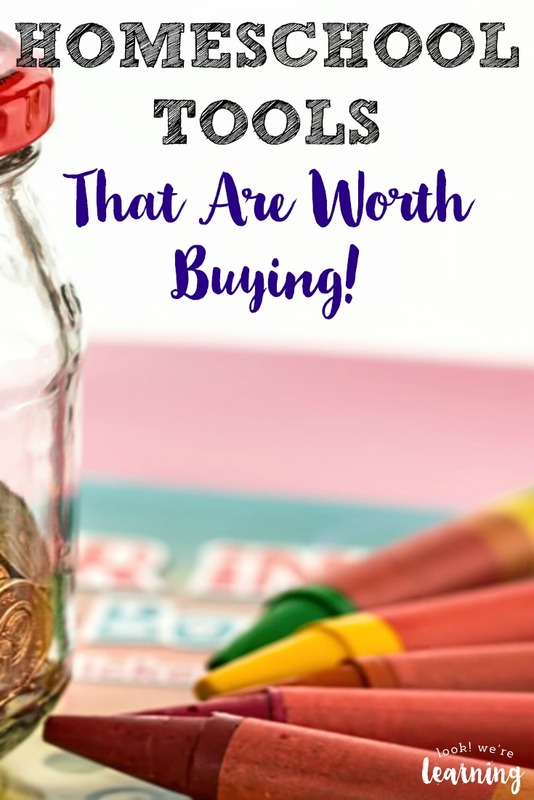 Don’t miss these other ideas for planning your homeschool year! 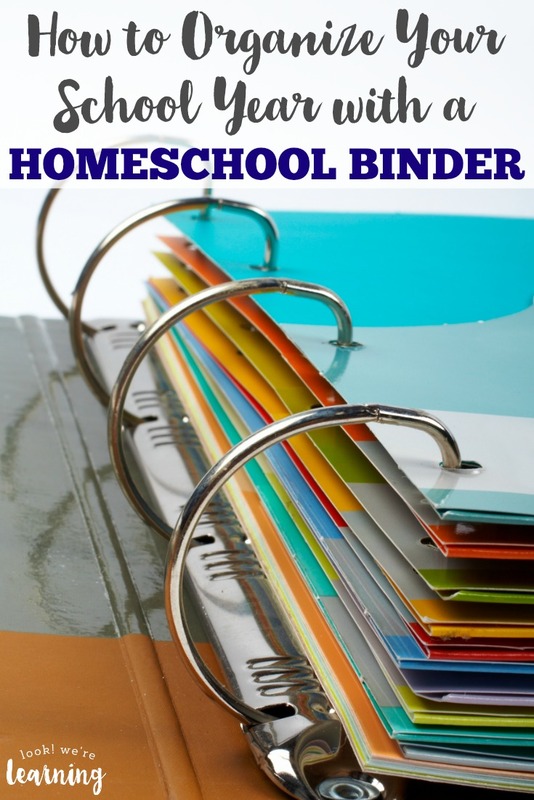 And see more ways to schedule your homeschool on my Homeschool Planning Pinterest board! 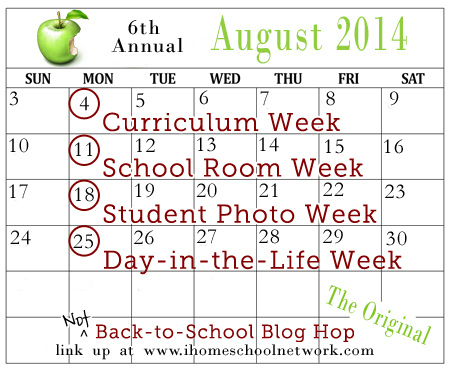 This post is part of the “2014 Not Back to School Hop” from iHomeschool Network! 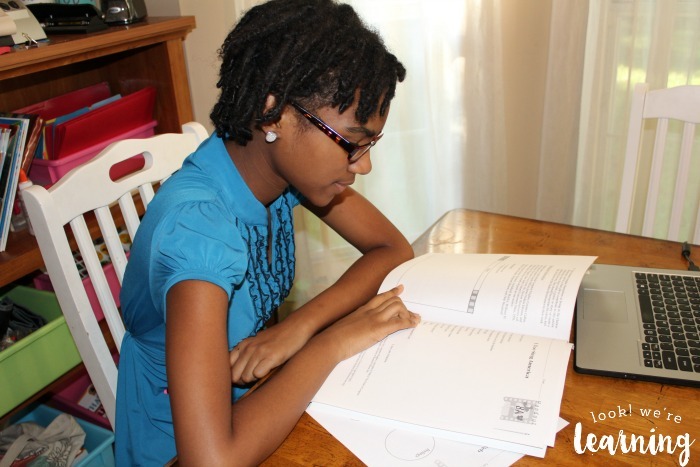 Click on over to read how our fellow bloggers schedule their homeschooling days! What an excellent day. I love all of the ADHD adjustments. We don’t wake our crew either. That’s a full day. Lot’s of breaks I’m sure keep the kids fresh and interested. I saved your schedule. I really like it. My second set of children (adopted) are still pretty young, but I think the oldest one is borderline ADHD. I like all the together time you have. I have a full day too. I take lots of breaks and enjoy the time that we spend together. Thanks for sharing! I was so glad to find your site through pinterest. I have add and I have had to remove my 9 year old from public school mid year due to bullying and the teacher not being able to keep him focused. He has adhd. He was struggling so much with the other kids and the teachers attitude left a lot to be desired. Here in Kentucky the school system does not do much for our ADHD kids …..except make things worse. My son was sick every morning with the thoughts of having to spend the day at school. I could not take it any more and decided to homeschool. So I have been wandering in the dark for a couple of months feeling like I might not be able to do it myself but your sight has given me encouragement. Its nice to know it does work and that I am not alone. Thanks so much. You are NOT alone! You CAN teach your child, adhd and all! You have one thing no one else in the world can give your child- your entire heart! This is my 10th year homeschooling, but my first with an adhd child and I feel like it’s my first year all over again. It is certainly a different experience, but my son and I have both been making progress and are seeing light in the journey. A great book about homeschooling adhd kiddos is “How to Get Your Child off the Refrigerator and On To Learning” by Carol Barnier. Keep fighting for Your child! Also we start every week with no less than 4 appointments- therapies and med checks etc… what do you suggest when you can’t be home consistently? Hi! I do a lot of our schooling on the go also. Audiobooks are wonderful for this. And I have them bring a lot of books and (sometimes) the tablet with us while we’re out. We do a lot of game playing and open discussion about what we learn, so the actual time sitting down learning is pretty small each week. They’re still above grade level, so it seems to be working! Hi, I’m considering homeschooling my 5 year old son who has just been diagnosed with add. Our other 2 children go to mainstream public school. He really struggles socially and academically with school, fitting in to their routine and strict rules. I really feel like we’re asking him to do something that he is just unable to do. Anyway, I’m keen for learn about this alternative. Thanks for the tips provided. Angela.